CT LAW TRIBUNE COMMENTS ON THE NEW GAL SLIDING SCALE! The state has taken a step into the legal fee-setting business. In wake of heated debate during the last legislative session over the cost of guardian ad litem and related services, the Judicial Branch has created a sliding fee scale in an attempt to control how much low- and moderate-income parents pay for for GALs, attorneys for minor children and other court-appointed lawyers who take part in contested custody cases. The fee scale, which takes effect Oct. 1, will apply in instances where the combined annual gross income of both parents is between $39,062 and $100,000. Family law practitioners say the market rate for GALs is about $300 an hour, and some parents have complained that's led to total fees in a handful of contested custody cases of $30,000 or more. Under the sliding scale, the hourly fees will be considerably less. AMC/GAL SLIDING SCALE STARTING OCTOBER 2014! For those of you interested in the AMC/GAL sliding scale which will be instituted in October 2014 in response to S.B. #494, please click on the link below. ANNE STEVENSON, INVESTIGATIVE JOURNALIST, DEMANDS ACCESS TO INFO ON GAL FEES! CONNECTICUT, April 8, 2014 — Massachusetts attorney Maureen Martowska was reviewing charges related to her son Matthew Martowska’s custody case when she noticed something irregular. 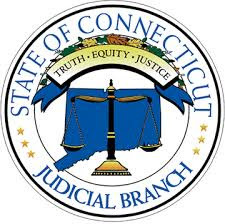 She realized that the Connecticut State Comptroller had paid guardian ad litem Barry Armata’s $988.12 for his work on the case. However, the family had been following court orders to pay Armata thousands of dollars out of their own pockets. While Martowska does not rule out the possibility that Armata’s bill may have been a clerical error, she said the mistake raises serious questions about how GAL’s in the State of Connecticut are paid. Last week, the Judiciary Committee approved RB-494, which if passed by the State Legislature would set limits on the way the State’s out of control guardian ad litem system does business. GUARDIAN AD LITEMS: RECENT REPORTS FROM THE OFFICE OF LEGISLATIVE RESEARCH! If you obtain a GAL through the program funded by the State the cost of a GAL is considerably lower based on the information in this report. However, there is a needs based requirement for this program. Also, it appears that GALs provided by the State can be held more accountable through the office that hires them. If you hire a private GAL, the only person you can complain to is the Judge and he or she is not likely to listen to you. Early in my high conflict divorce, my attorney agreed to appoint a guardian ad litem in my case. What a mistake! Before I go into more detail, let me tell you what a guardian ad litem is. A guardian ad litem is an attorney or mental health professional put into place to represent the best interests of your children. In a high conflict divorce where custody is under dispute, they will do an investigation and make a recommendation regarding which parent should be the residential parent or sole custodian of the child. Most of the time, these folks are attorneys, but sometimes they are mental health professionals. The guardian ad litem was my worst nightmare. In fact, when I look back, this person caused the most harm and damage during my divorce not only to me, but also to my children. I had my ex urinating on my furniture and putting nails in my tires, but when I brought up the issue of abuse with the guardian ad litem, s/he dismissed it with a wave of the hand, "They always claim they are being abused." s/he said. Not only did that hurt emotionally because s/he invalidated the injuries I was experiencing on a daily basis, but also s/he pretty much gave my ex permission to escalate his abuse, which he promptly did. I would say, not only was there the emotional and physical harm and damage that the guardian ad litem caused, but also s/he is literally responsible for costing me thousands and thousands of wasted dollars. For example, s/he was a mental health professional rather than an attorney. S/he was always talking--talk, talk, talk and asking probing questions so there would be more talk, talk, talk, and then s/he charged me untold sums of money per hour for all the talk, talk, talk. You know, I am not a fan of attorneys. But what is worse than an attorney is a mental health professional desperately trying, but miserably failing, to do what attorneys are actually trained to do. So, what is it that guardians ad litem are statutorily required to do? According to the Connecticut Practice Book Sec. 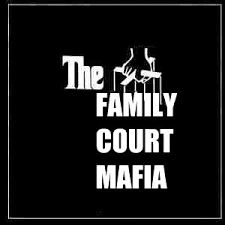 25-62 "The judicial authority may appoint a guardian ad litem for a minor involved in any family matter. Unless the judicial authority orders that another person be appointed as guardian, a family relations counselor shall be designated as a guardian ad litem. The guardian ad litem is not required to be an attorney." Guardians ad Litem are currently required to take a training course on how to be a guardian ad litem. This training course involves a 30 hour, six session course which teaches guardians ad litem how to develop the skills they need for the job (i.e. how to torture their clients with even more grace and sophistication than they ever did before!). Thus the Connecticut Practice book Sec. 25-62 continues on to say "With the exception of family relations counselors, no person may be appointed as guardian ad litem until he or she has completed the comprehensive training program for all family division guardians ad litem sponsored by the Judicial branch." The training program was developed in the past few years and only recently became mandatory. It was developed under the leadership of the Chief Administrative Judge For Family Matters--Judge Lynda Munroe. The intention behind this program is to make a lot of money--oops, I mean to establish a uniform and consistent level of training for all Guardians Ad Litem. At this point, the class is free and the instructors who teach the class work for free. This section of the Practice Book finishes by stating, "The judicial authority may order compensation for services rendered by a court appointed guardian ad litem." And this is the most crucial point. Apparently, when a family is indigent, the best information I have indicates that the guardian ad litem will receive a $350 flat fee for the services he or she provides to the family, plus a nominal fee per hour beyond 30 hours. However, guess what, if you are anything beyond indigent, you'll be paying top dollars--anything from $250/hour or more for your guardian ad litem. In fact, Sec. 25-62 pretty much authorizes the judge, ah hemm, judicial authority to wipe out all your bank accounts for the purpose of paying the guardian ad litem. Not only that, the judge, ah hemm, judicial authority can wipe out your children's bank accounts paying for the guardian d Litem. I mean every last dime, all the college funds, all the UTMA accounts, eeevveerrryythhinngg. Yes. See CT Statute Sec. 46b-129(a). And this is supposed to be in the best interests of the children--go figure! Currently, there are around 700 trained guardians ad litem in the State of Connecticut and rising. And, as you know, the more GALs there are available, the more litigants will be pressured to utilize their services! Mark my words! 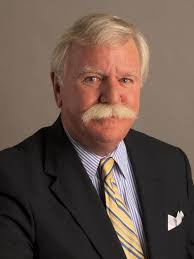 A guardian ad litem is supposed to represent the best interests of the child as opposed to an attorney for the minor child who is supposed to represent the child's wishes (see Connecticut Practice Book Sec. 25-62a). AMCs usually represent older children who are more able to know what they want. I can tell you now, out of all the people involved in your high conflict divorce, the person who will likely make the most exorbitant amount of money is the guardian ad litem, hands down. What always bothered me about the concept of the guardian ad litem is the idea that they have the right to interfere in the parenting of my child. As one expert put it, "a Guardian Ad Litem is appointed in situations in which the parent is presumed incapable of preserving the child's best interests. It is not the child's disability under the law which has resulted in the need for a guardian ad litem, but rather the disability of the child's parent. The guardian ad litem is therefore acting on behalf of the parent in pursuing the best interests of the child, it is argued, and becomes a parent surrogate with limited duties." "Parent surrogate"! Excuse me? As parent, I am supposed to be disabled? Give me a break! My right to parent is a sacred constitutional right. And you are going to interfere with that simply because I filed for divorce and my ex is a jerk and making it difficult for me? Did any of you have the problem where your kids would defy discipline and threaten to report you to the guardian ad litem when you tried to correct their behavior? Raise your hands, ladies; I know you are out there! I've had relatives ask me why I'm not more strict with my children, how come I don't demand they do their chores as faithfully as they think I ought to. And I tell them why--not with this divorce hanging around my neck, because all the kids have to do is report me. All the time as I am doing the job of parenting, I'm tiptoeing around that big elephant in the room, that the guardian ad litem is hanging around in the wings waiting or in actuality acting in such a way as to undermine my authority. The other big issue that came up with my kids and the guardian ad litem, specifically when the GAL was doing her investigation, had to do with coaching the children to make false statements to the custody evaluator. Twice I caught the guardian ad litem coaching my children to make false statements. Luckily, the custody evaluator asked questions from more than one angle and was able to tease out the inconsistencies that arise when children are being coached, but if it weren't for that, I would have been seriously compromised. So when the guardian ad litem takes your kids off for questioning, make sure you follow up with the kids to find out what was said and also follow up with requests for a summary of the contents of the meeting, something to protect yourself. Once the guardian ad litem's investigation is over, always ask him for a full report. A report you can counter in a deposition or with testimony from other sources. But conclusions drawn behind your back, conversations behind closed doors--you can't do anything with that. Trust me! Guardian ad litems will do anything to avoid providing such a report, but you must insist on one. Otherwise, there is absolutely no accountability and you can end up being a victim--aGAIN! The official line regarding guardians ad litem is that they are only one source of information in regard to custody in a divorce and the judge is supposed to consider a number of different factors. However, the bottom line that everyone knows, and I mean everyone, is that if the Guardian Ad Litem makes a decision regarding custody, that is the decision the Trial Court will go with 99.999999% of the time. So don't be fooled. If you are smart, I'd avoid having a guardian ad litem in the first place, but if you are stuck with one, you'd better hope you are that guardian ad litem's best friend, or else you and your children are in big, big, and I mean BIG trouble.